Are you ready to get your kids out of the house? Bring them to our FREE football skills challenge!! 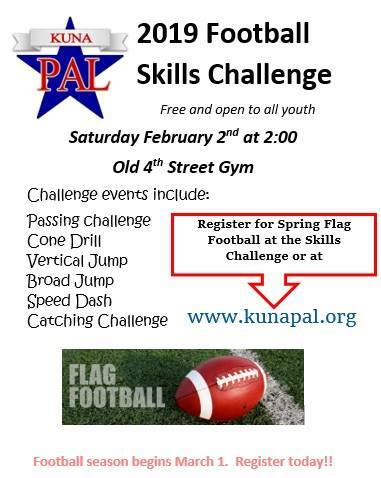 No registration required for the skills challenge; just show up and play! That said, football registration is open now and does require registration! Scholarships are available!